Miami, FL – June 13, 2017 – Economists have long equated GDP growth and economic prosperity with social progress, which became the end-goal of public policy. But in recent years, a new “science of happiness” has been galvanized by global research studies like the UN’s World Happiness Report and The Gallup-Sharecare Well-Being Index. This research takes a multidimensional approach to measuring total well-being for nations (yes, financial prosperity, but also crucial components like social/community connection, physical health, freedom, and shared purpose), and is fast proving a more accurate measure of national progress and true life satisfaction. Which is why the 2017 World Happiness Report, surveying 155 countries, found that the Northern European nations of Norway, Denmark, Iceland, Switzerland and Finland (all strong in social support, generosity, physical health and honest governance) ranked as the world’s five happiest nations, while growing economies like China and the U.S. (suffering from eroding social safety nets/support) fell in happiness in recent years. Overall, the world reports a mediocre 5.3/10 score for total happiness. With a fast-growing interest in insights from happiness science, more governments are taking action. For example, Bhutan was the first nation to create a “Gross National Happiness Index” to drive policies around individual well-being, not GDP – and more recently, Dubai has made happiness a wide-ranging policy priority, appointing the first Minister of Happiness in 2016. Workplaces, grasping the high levels of employee unhappiness and their toll on productivity, are now executing on lessons learned from happiness science. The mental health industry, long focused on human failings/pathology, is embracing neuroscience to understand the mechanisms of happiness, hope, empathy, resilience and joy, along with approaches like positive psychology. We even see tourism destinations/programming starting to be designed around the pillars of happiness. 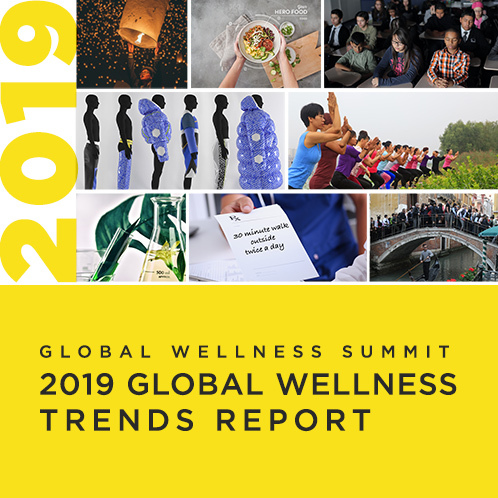 So, to immerse delegates in the findings and applications of this new field of research, the Global Wellness Summit today announced that its 2017 agenda will include a powerful roster of keynotes from “happiness science” leaders at its conference taking place at The Breakers Palm Beach, FL, from October 9-11. Jan-Emmanuel De Neve, PhD, is Associate Professor of Economics and Strategy at SaÏd Business School, University of Oxford and associate editor of the massively influential World Happiness Report (downloaded a reported one million times a year) – as well as research adviser to the Gallup Organization. He is one of the world’s leading researchers on what constitutes human well-being, which has led to new insights on the relationship between happiness and income, economic growth and inequality. His research was selected as one of “The Management Ideas that Mattered Most in 2016” by the Harvard Business Review. And his keynote will focus on the role of (and strategies for driving more) happiness in the workplace. Mohamad (Mo) Gawdat is Chief Business Officer for Google [X], an elite team of engineers that comprise Google’s futuristic “dream factory.” (Google, a $100 billion-plus company was named the 2nd most valuable brand in the world by Forbes in 2017.) Years ago, despite having achieved extraordinary success, Mo realized he was desperately unhappy. So, attacking the problem as a scientist would, he spent seven-plus years researching to formulate an equation for happiness, based on how the brain takes in and processes joy and sadness. Years later, that algorithm would be put to the ultimate test after the tragic death of his son, when his family turned to his solution to survive. And it sparked a mission: share the equation with the world – including the 500+ wellness leaders at the Global Wellness Summit – through his new book, “Solve for Happy: Engineering Your Path to Joy”. Silvia Garcia is founder of FeelLogic and a happiness science pioneer as the former global director of the innovative Happiness Institute at Coca-Cola. An expert on workforce well-being, at the Happiness Institute she sought to transform lives through the science of happiness applied to the economy, workplace, health, politics and education. Silvia will share with Summit delegates how organizations and cities thrive by fueling happiness – leading to significant increases in innovation, shareholder returns, talent retention and increased productivity. Nancy Etcoff, PhD, is Assistant Clinical Professor at Harvard Medical School, where she teaches the “Science of Happiness” courses – and a psychologist at the Massachusetts General Hospital Department of Psychiatry. Part of a new vanguard of cognitive researchers investigating what makes humans happy – and whether and how we evolved for happiness – her work on happiness exposes often surprising, counter-intuitive results. She has also given a popular TED talk entitled “Happiness and Its Surprises”.